The hamam / by Harvey Broadbent. Broadcast on The Listening Room on ABC Classic FM, 20 April 1998. 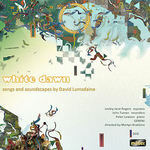 CD: White dawn : songs and soundscapes / by David Lumsdaine. CD: Electronic compositions 1997-2001 / Brigid Burke. CD: Music to see through / music by David Chesworth ; performed and enhanced by David Chesworth Ensemble. 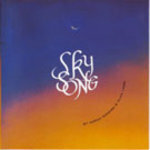 CD: Sky song / Alan Lamb and Sarah Hopkins.